This sedate and distinguished, limestone-clad apartment building was erected by Michael Paterno in 1928 and converted to a cooperative in 1953. 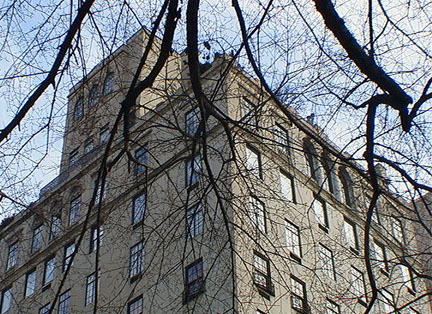 Designed in Italian-Renaissance-palazzo style by Rosario Candela, one of the foremost architects of residential apartment buildings of his era, and Warren & Wetmore, and Shreve and Lamb were consulting architects. It has only 15 apartments. Candela's other Fifth Avenue buildings include 834, 850, 884, 955, 960 and 990. 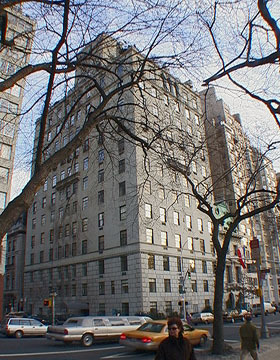 Candela also designed 1 Sutton Place South and several luxury apartment buildings on Park Avenue. Although its facade is not as finely detailed as some of the avenues other prestigious pre-war buildings such as 820 and 998, it is one of the citys premier addresses in part because it is close to many of the citys most fashionable boutiques and restaurants along Madison Avenue. It is also a bit removed from major tourist attractions such as the Central Park Zoo. 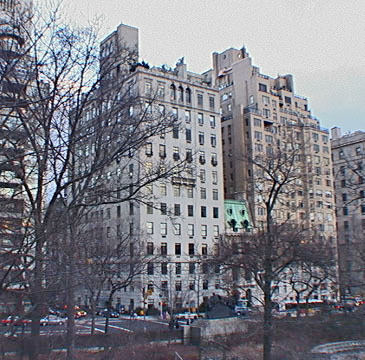 The building, which is also known as 856 Fifth Avenue, has very fine Central Park views, although its location close to an entrance to a Central Park transverse road makes for considerable traffic and noise. A floor near the top has arched windows facing Fifth Avenue. While the building has no garage, no health club and no sundeck, it has very high pre-war quality and has a doorman, a concierge, sidewalk landscaping and a handsome three-story rusticated base. It occupies the site of the former house of Judge Elbert H. Gary, whose widow bought an apartment in the new structure. "During construction, developer Paterno got into a legal battle with former Governor Nathan Miller, who lived in the adjoining house, over which of them had the right to the side street address of 2 East 67th Street. In 1930, after the building was fully occupied, Paterno won, but it took 20 years before all the residents were using the side street address. Although the use of a 'coded' side street address instead of a more obvious Fith Avenue one has been said to 'separate the knowledgeable from the newcomer,' the subtle distinction was evidently lost on the building's initial occupants."